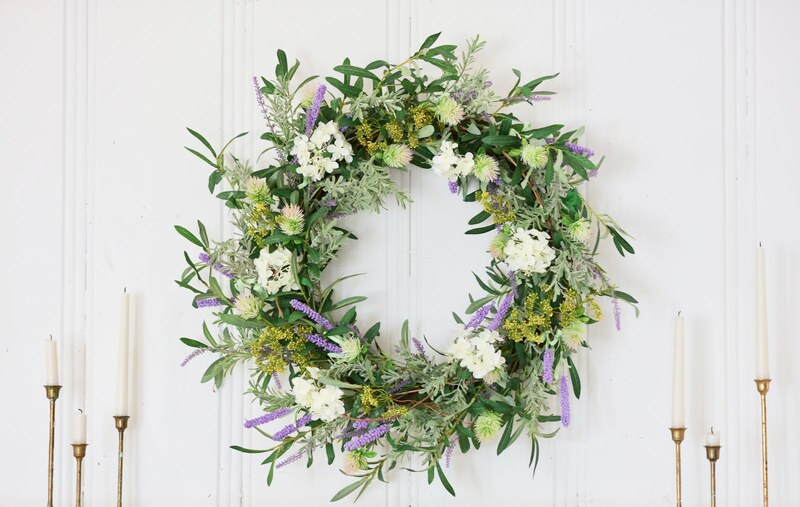 French Market Floral Wreath with Balsam Hill - A burst of fresh green, lush lilacs and a touch of pretty for a sprinkle of spring. 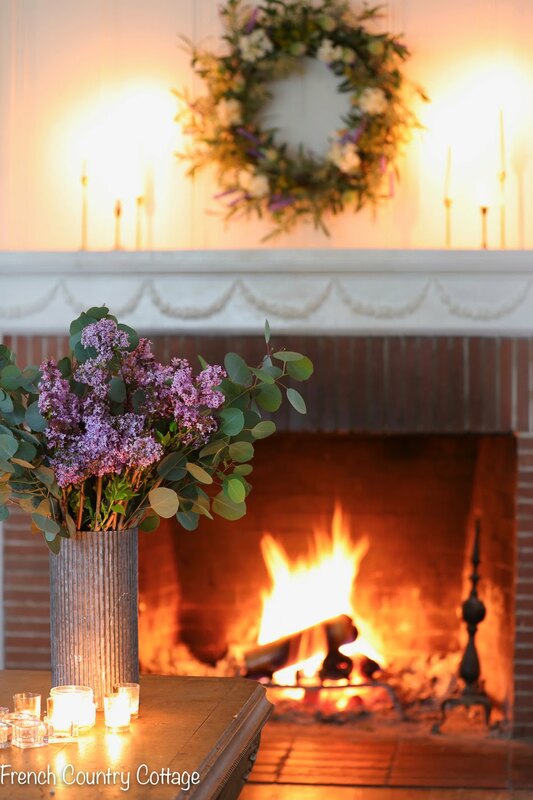 A burst of fresh green, lush lilacs and a touch of pretty for a sprinkle of spring. I can hardly believe it is almost April... between the rainy weather lingering later in the season this year and the fact that I am pretty sure we just kicked off the new year a few weeks ago... I am scratching my head at how fast time is zooming by and feeling a bit behind over here. 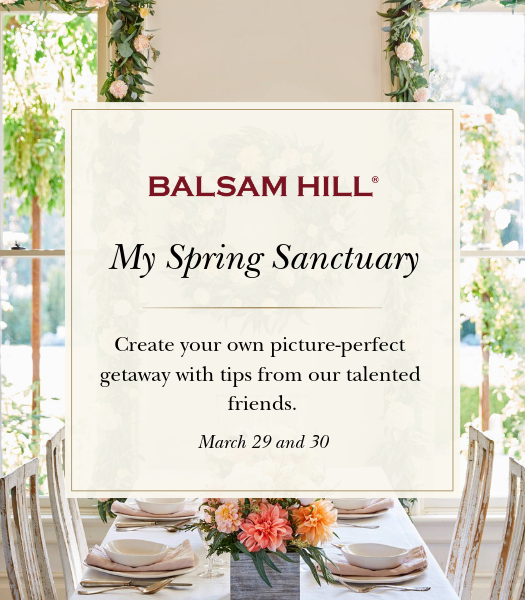 So this week when something fun from Balsam Hill arrived- I added a few touches of spring to the house. 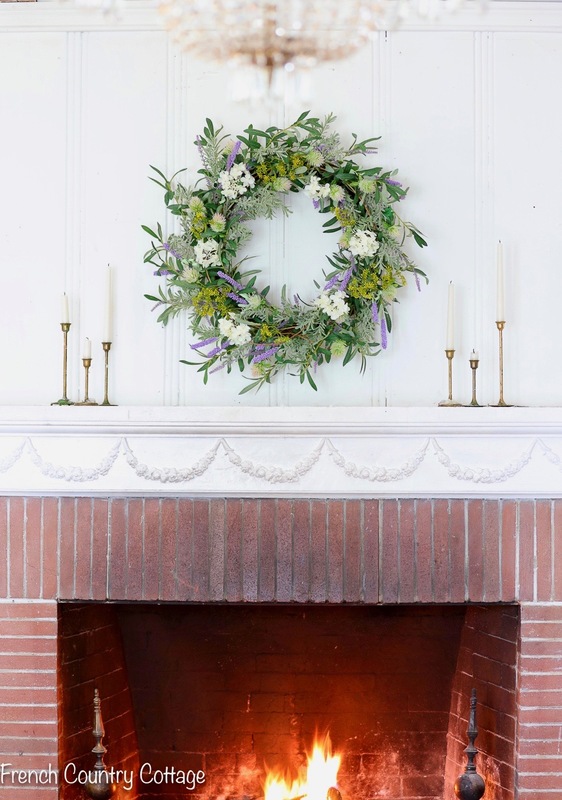 One of my favorite ways to add a touch of spring to the house is by adding a fresh green wreath- and a wreath with details like lavender sprigs, thistle and sprigs of wildflowers is a perfect way to add a burst of spring color and warmth in just a few minutes. 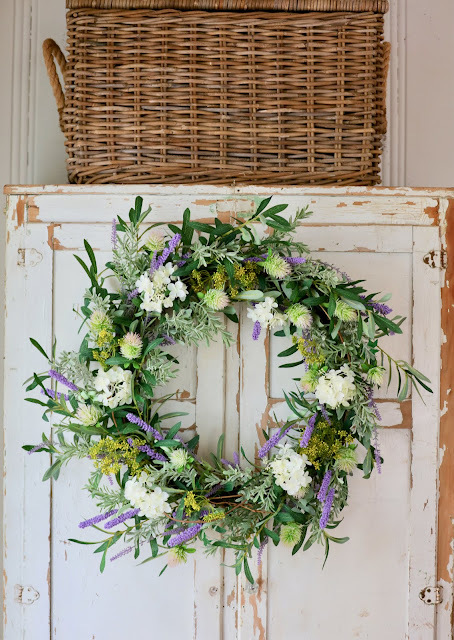 This particular wreath also is a special one... this is the French Market Floral Wreath and is the newest addition to the French Country Cottage Collection with Balsam Hill. I designed this wreath using fresh flowers and greenery last year and I absolutely love how the realistic faux recreation turned out. 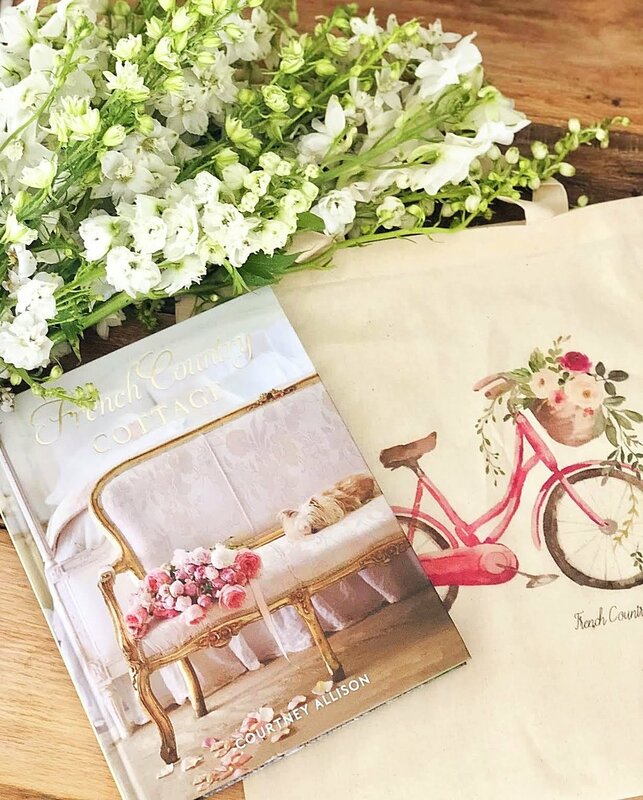 Balsam Hill has the most lovely faux florals that are so true in color and style- and they did an amazing job with this wreath. I will share the original wreath and more about it in a separate post soon. 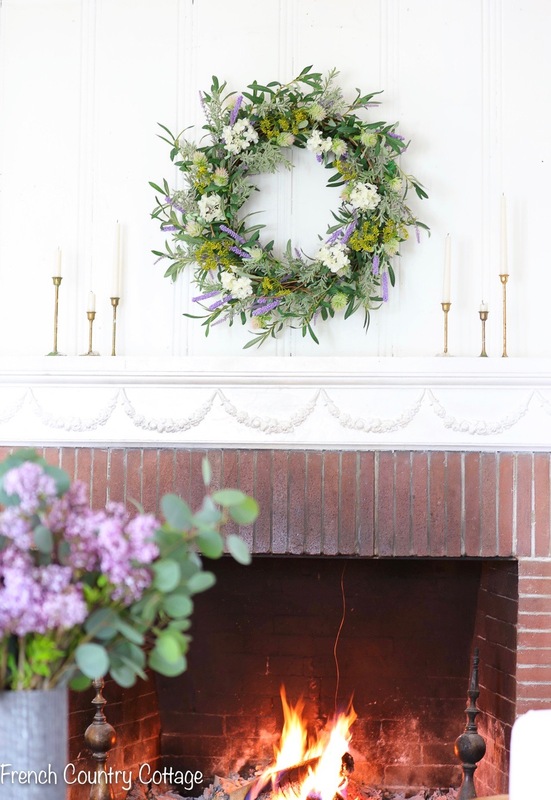 For a soft fresh spring look in the living room, I did a bit of tinkering and moved the mirror off the mantel and placed the wreath above the fireplace. I have been really feeling more pared down and quiet in decor recently- and so for this styling, I simply added just a few vintage brass candlesticks and called it good. 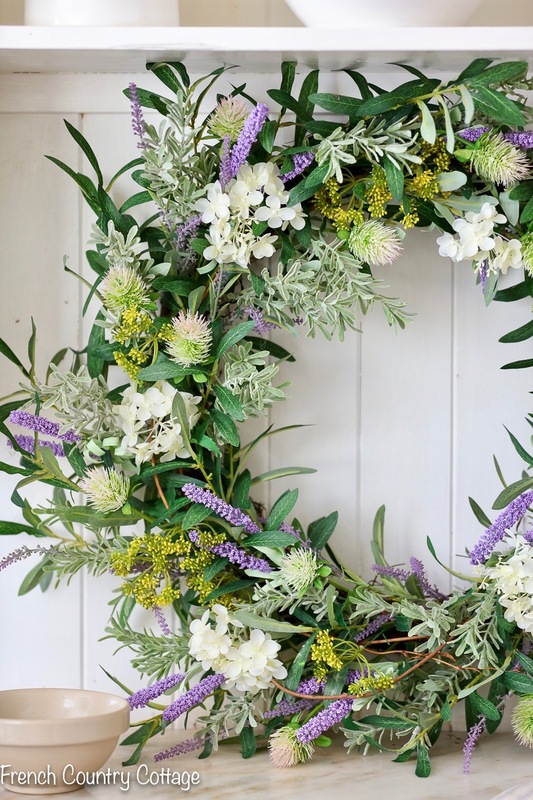 And for a touch of fresh greenery on the table, a metal vase full of lilacs and eucalyptus is a perfect compliment picking up the purple and sage greens in the wreath. 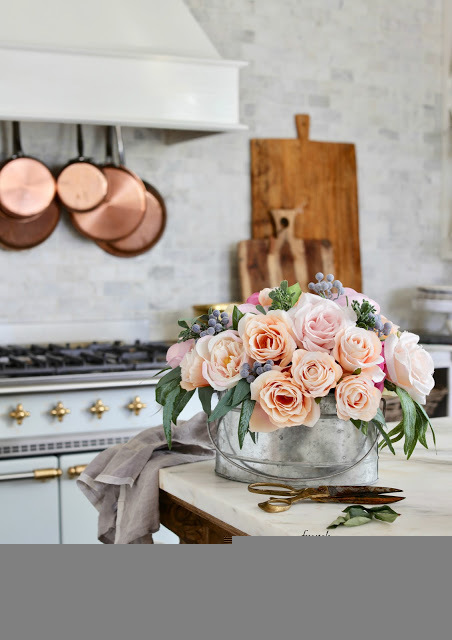 Another favorite tip for using faux florals in decor is to mix them or pair them with fresh flowers or fresh greens. And add a few candles to create a cozy spring glow for the evening. And this wreath also looks so lovely on the front door or porch and even on an old chippy cupboard. 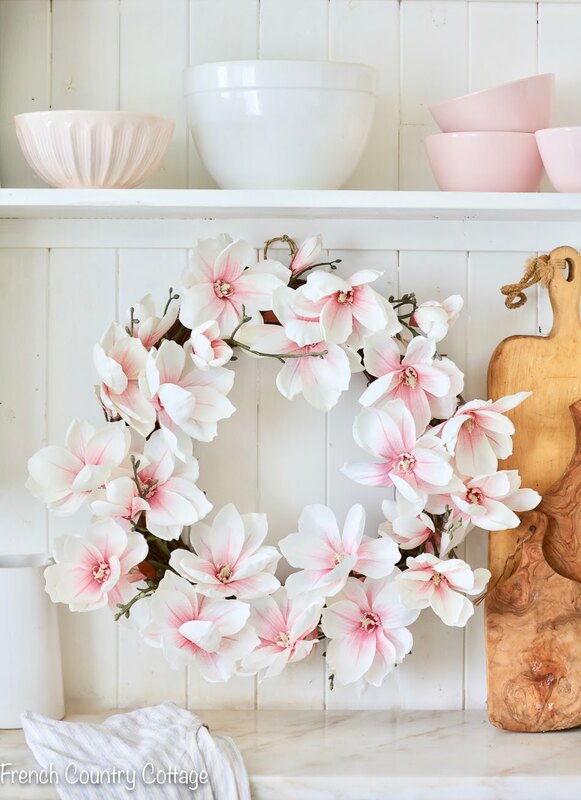 I also also am loving this Japanese Magnolia Wreath - it is such a charmer. The softest colors and petals- it is so pretty near the shelves stacked with blush and white dishes. I chose this one for a special styling I am working on coming up- so you will be seeing it in a different spot soon. 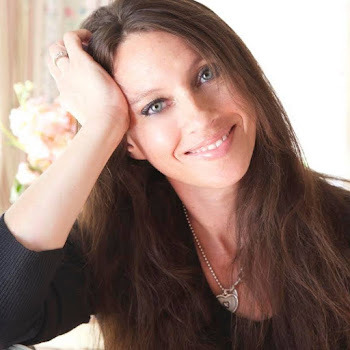 And I have a couple spring tours on the calendar so will be sharing more tips and ideas for sprinkling spring around your home... and something fun for you to get you started- a Giveaway. 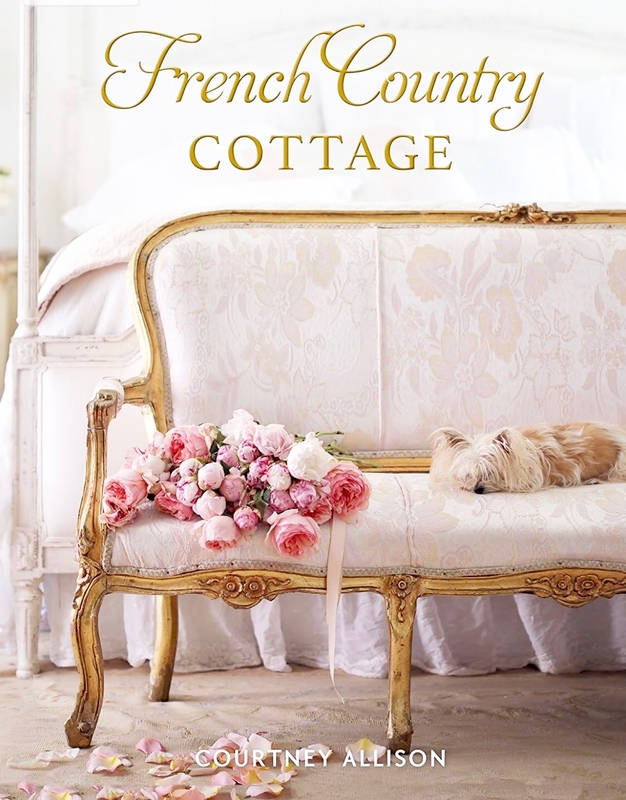 to one lucky French Country Cottage reader! so click on over to Instagram for rules and to enter on my post of the wreath. And don't miss these lovely ladies sharing their favorite spring wreath as well. Thank you Courtney both wreaths are beautiful. Adoring the pink bowls in your post! Please do tell where one might find them! Thank you! 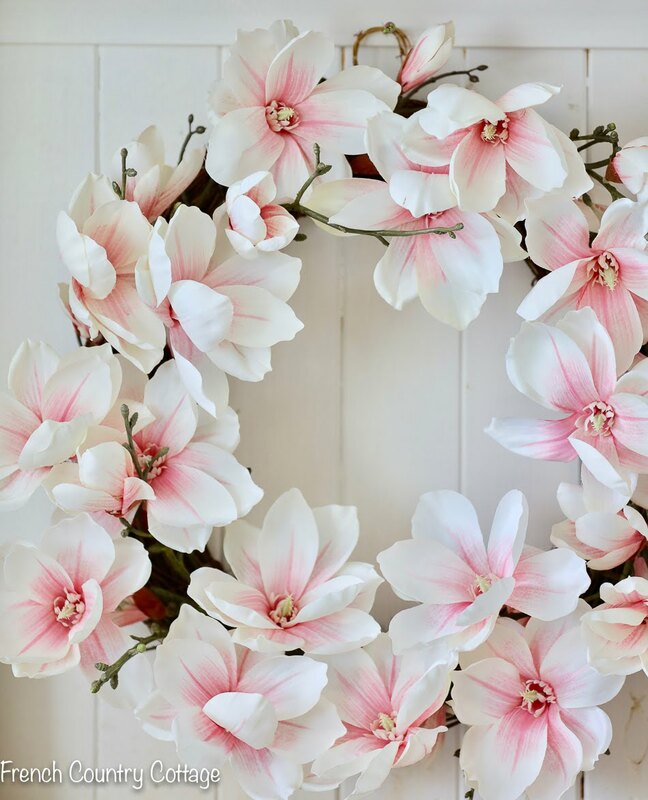 I love the wreaths, they are a breath of spring. I have similar bowls in blue. I got mine at Marshall's .